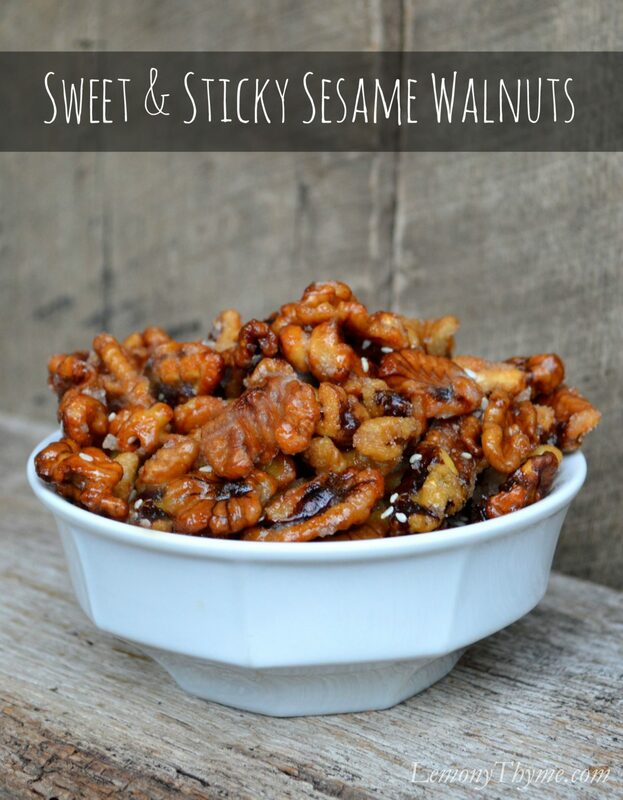 Sweet & Sticky Sesame Walnuts make a great bar snack, game-day nibble, or holiday cookie tin addition. That was reason enough to make them. She requested a Hummingbird Cake. This, my friends, is a London Scotland Strawberry Martini. It’s a glorious concoction of gin, strawberry puree, grenadine, lemon juice, with a splash of champagne. It’s sweet and refreshing.